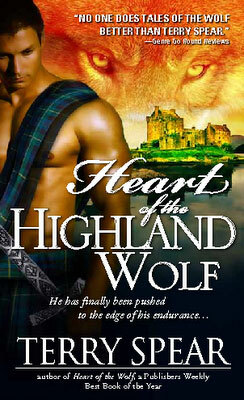 On visiting Terry Spear's website I noted that she has posted the cover to Heart of the Highland Wolf, the seventh book in her Werewolf series. It releases June 2011. Ian McNeill, laird of Argent Castle finds his capital squandered through unwise investments and the wolf clan's home that has been theirs for centuries is in danger of being forfeit for nonpayment of taxes. When a movie producer contacts him with the notion of using his castle to produce a movie, Ian abhores the idea, but it's his only salvation. Even worse, his people become extras in this epic Highland movie. But when one American werewolf romance author, Julia Wildthorn, slips into the castle under the guise of being with the movie company, except she is trying to jumpstart her muse with writing a book set in old-world Scotland--specifically about his castle and his people as the characters in her newest book venture--she and Ian tangle. OMFG this sounds so good!